Hello Everyone! I won't be posting the Day 2 of my 12 Days of Handmade Christmas Crafts today. I am still decorating my Day 2 project. Hopefully, I can post it tomorrow. 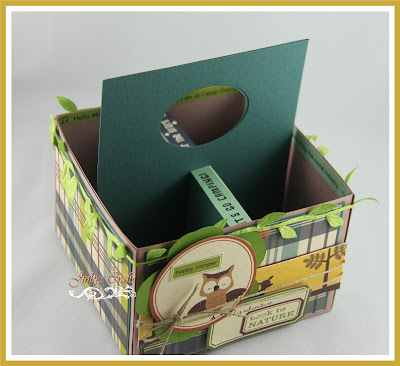 But I have a different project I would like to share, this was a project I created for my MayArts scheduled blog post. 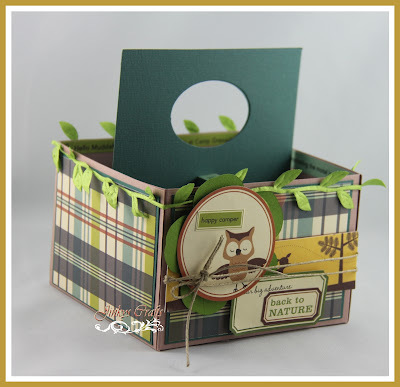 It's a Picnic Caddy which I decorated with the October Afternoon’s Campfire product line. When I received this October Afternoon Campfire kit, I knew exactly what I was going to do. 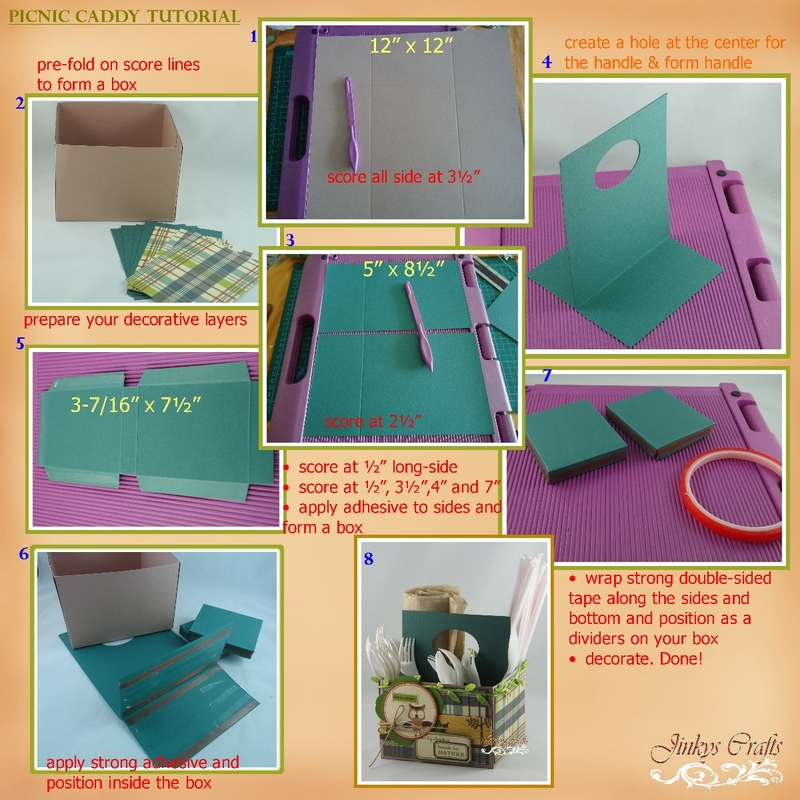 I have made this Picnic Caddy in the past but I did not have the right designer paper back then. So, I had to create my own plaid paper. This time, I have all the well coordinated Designer Papers, stickers, and embellishments courtesy of October Afternoon and of course May Arts Ribbons. This Picnic Caddy is so fast and easy to make. I had fun decorating this box. Please scroll down below for the step-by-step photo tutorial. 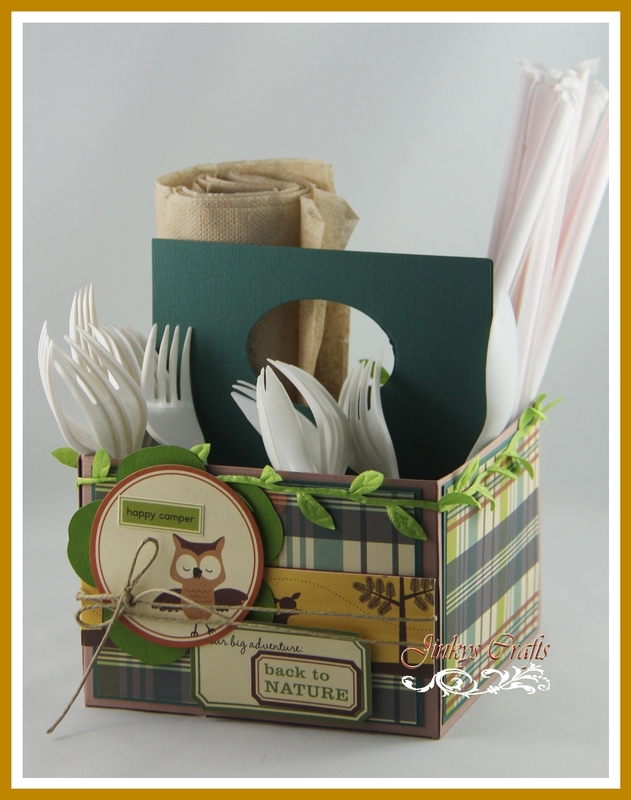 This project can also be used as your craft caddy. You can use it to store your markers, paint brushes, scissors and other craft tools you have. As long as it will fit the box. I love this, thank you so much. This will be great for choc. covered pretzels on the table for the kids.